Ola loves! Hows your first week of 2012? Hope you guys having a fantastic week already! And for those of you in the mood of celebation - we have found an awesome palette that may stir up your mood!.. Well.. actually if you have the likes for something sweet and lemon! (Thanks to Snippet & Ink). We reckon this palette might be entirely too sweet for some, but we could not resist the strong lemonish colors by Francine Zaslow. We imagine cheekyness, laughters. We foresee something fun, something sweet. 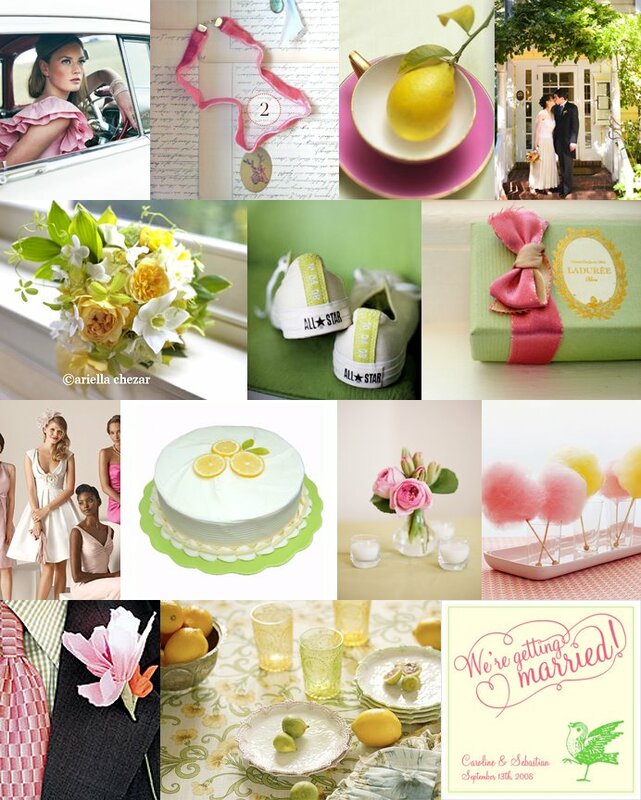 We believe these colors together could make for a lovely wedding.